(MENAFN - The Conversation) Most of us are familiar with cases of data being used in ways that go beyond consumer expectations – just think of the Facebook Cambridge Analytica scandal . However this is also an issue relevant to Australia's agricultural sector. Modern farms create a huge amount of data, but farmers have very little control over the collection, aggregation and potential distribution of that data. The next day Federal Minister for Agriculture and Water Resources David Littleproud took the extraordinary step of including Aussie Farms Incorporated – a self-described animal rights charity that publishes a map of farming and animal processing locations – as an 'organisation' under the Privacy Act . On April 15, the ACCC released draft CDR rules for consultation. These are in preparation for the implementation of the first phase of the CDR set for July 1, 2019. The ACCC's rules set out how the CDR will operate including data sharing and privacy safeguards. This data is typically collected through the use of digital farming machinery and buildings featuring robotics and digital technologies, artificial intelligence, and devices connected to the internet ('internet of things', or IoT ). Over the past five years, numerous reports have highlighted the myriad benefits a data revolution can bring to agriculture . Indeed, big data in agriculture is often seen as the solution to the world's impending food security crisis. Perhaps not surprisingly then, recent research into farmers' attitudes about sharing their farm data reveals their level of mistrust about the way in which that data may be used or misused. More than 60% of farmers surveyed indicated they had little to no trust in technology providers to maintain their privacy and not engage in unauthorised use of their data. This latter point is key, as agricultural data is often connected to farmers' personal information. For example, the location of the farms, or the location of GPS-enabled farming equipment, may be digitally linked to farmer names and financial information. Yet the problem is that many farmers don't know if, and under what circumstances, they should share their agricultural data. 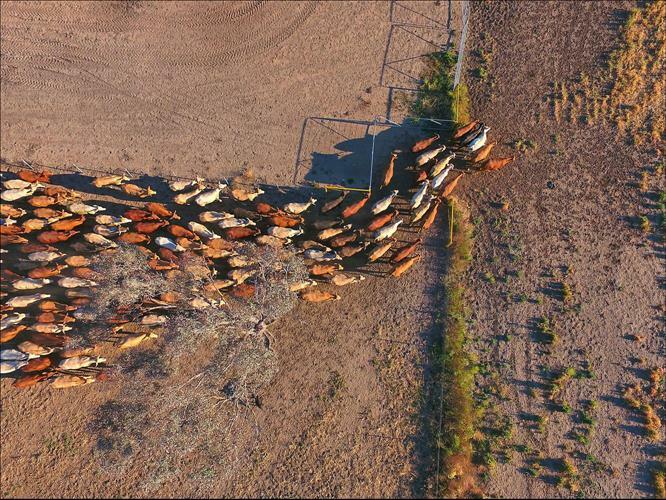 We argue that Australian agricultural industries need to urgently address issues such as data sharing protocols and governance arrangements. Perhaps the group best placed to coordinate such activities is the National Farmers' Federation ( NFF ). We have seen attempts to improve the position of farmers against anti-competitive practices of supermarkets through the recent re-appointment of Mick Keogh as Agricultural Commissioner to Australia's competition watchdog, the ACCC. In other countries, attempts to improve agricultural data management practices have been administered through the introduction of voluntary agricultural data codes of practice in the US , NZ and now the EU . Australia's NFF is currently considering developing an agricultural data code for Australia as well.